This months challenge is to create a single-page multiphoto layout using 3 or more photos. This one was a little harder for me as all my photos were landscape! I would say you met the brief beautiful Roz. This is a great page! 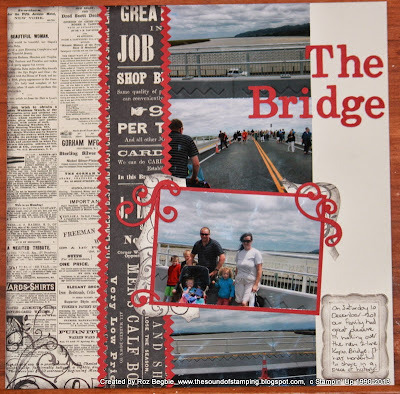 Fantastic layout Roz! I love the way you've matted and tilted the main photo to make it stand out from the rest. Thanks for playing at Just Add Ink. Great page Roz! 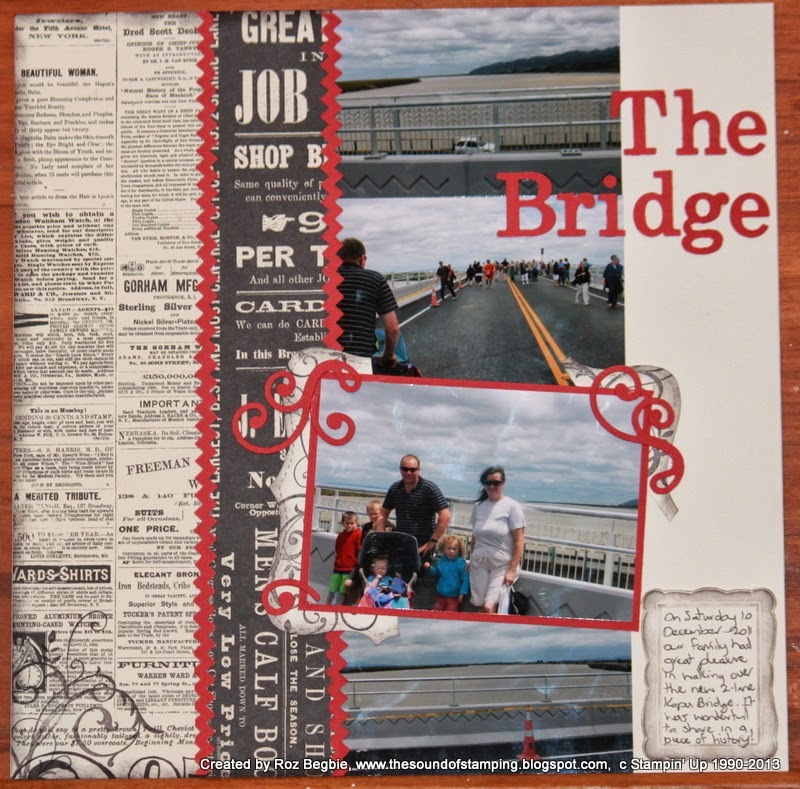 Love the embossed frame as your journalling too.